The Holistic Bio Spa has grown to a large family of patients, therapists, and holistic naturopath physicians in Puerto Vallarta. Our holistic family spans all the way across Europe and back to the Americas. One of our favorite parts of serving American, Canadian, and Mexican patients is getting to know you and your families! We adore our close-knit health community and truly value being a part of your families’ lives. 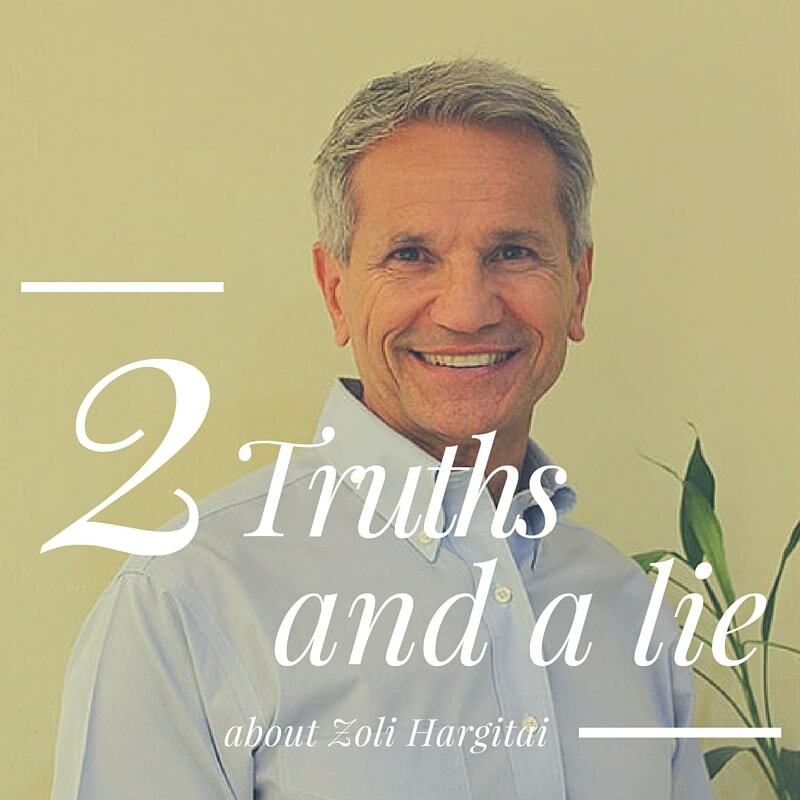 How well do you know your naturopath MD, Zoli Hargitai? Do you think you know which “facts” are truth and which is a lie? Here’s the lie: Zoli was a professional dancer. We all enjoy dancing, but not all of us were graced with enough rhythm and skill to go pro. Zoli Hargitai made a decision in his youth to be the difference he wanted to see in the older generations. He actively sought out the best ways to optimize his own health and emotions with detoxing, proper nutrition, exercise (from martial arts to yoga!). He danced often, but life lead him down a different path to empower others to be the best version of themselves. By tending to his own health first, he took steps to become the naturopath healer and mentor we all know him to be. And over 35 years later, here he is empowering his family of skilled doctors, nurses, therapists, patients, and friends at the healing center Holistic Bio Spa to become happier, healthier, and more vibrant. Where is your path leading you? Thanks for playing our “getting to know you” game! Speaking of getting to know each other, have you scheduled your next SCIO emotional and pathological checkup with Zoli? Your naturopath MD is always available to guide you on your unique journey to lasting health. If you’re coming down for a Puerto Vallarta healing retreat this winter in paradise, cause your path to meet at Holistic Bio Spa for a healing boost. Your holistic naturopath MD and medical team are getting lots of appointments for these 2016 summer specials, so don’t delay! Call us at +52 (322) 221 1607 to book your appointment! What are two truths and a lie about YOU? Leave a comment below to play our little game and we’ll respond with our best knowledge about you! One Response to "Two Truths and a Lie About Your Naturopath MD, Zoli Hargitai"
Prevention: They Key To Cure!